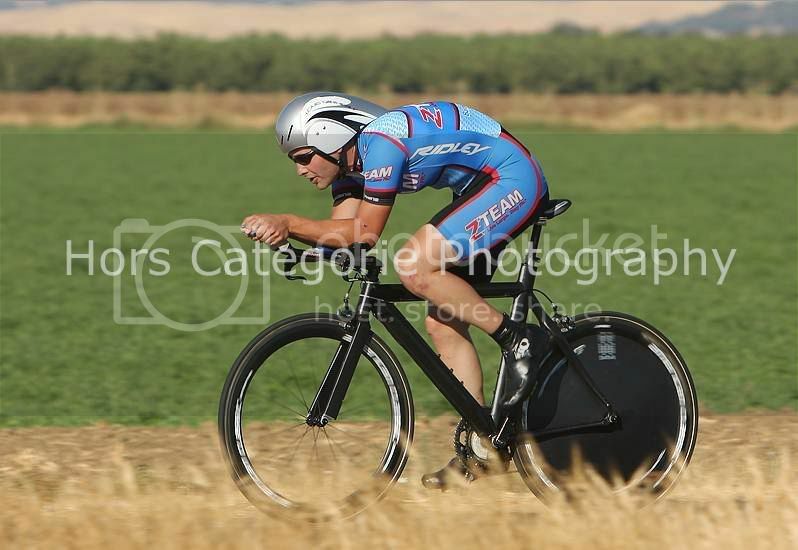 Well, after crashing last weekend and getting swamped with work I came into the TT with a whole 4 hours of riding this week and none of it on the TT bike. Great way to build up for my first 1/2 event, huh? I was relying on suffer memory. Just head down and push till its over. The course was 18 miles of flat to rolling with some wind and rough pavement. It was a small field so I knew it would be a top 15 finish so long as I didn't flat. I also knew Eric Wholberg from Symetrics was signed up so the winner was decided. Given my current state of fitness and sore backside I set a number of about 320w as a target. I went out to hard(like always) but was suffering along and keeping my minute man at around 40 seconds. I hit the turn around and was destroyed. Suffer home for 7th. If I was on good form like at districts I'm pretty sure I would have gotten 3rd or 4th.